Don’t be surprised if you experience deja vu while watching the first episode of The Last Empress. This drama takes place in a fictional Korea that has a constitutional monarchy, which makes it similar to the 2006 drama Princess Hours. It is interesting to imagine since there has not been a Korean emperor or even a king since 1919. The royal family in Princess Hours, while steeped in cumbersome tradition, did a better job of adapting to modern times. They recognized their role as figureheads with no political power, much like the British royal family, and were careful not to abuse their privilege. In Princess Hours, Yoon Eun Hye plays a commoner who marries into the royal family and finds all the protocol stifling. While there is plenty of protocol in The Last Empress palace, the general atmosphere is more sinister than stifling, and the royals act as if they are above the law, even if they do try to minimize scandal. 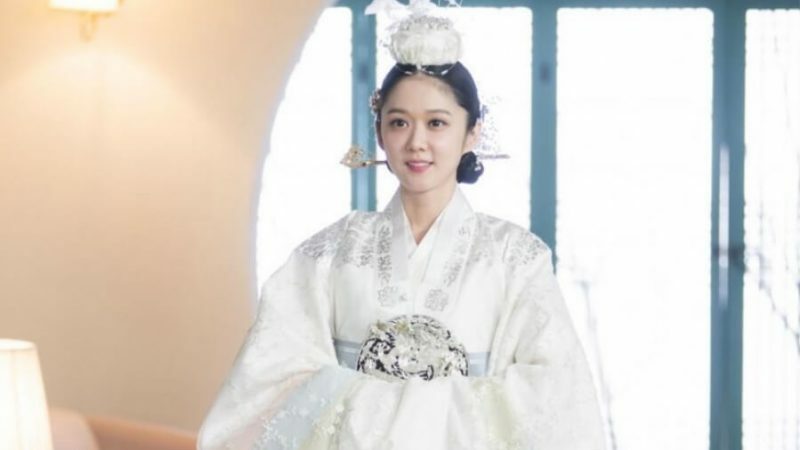 As in The Princess Hours, there’s a poor heroine, played by Jang Na Ra, who will marry into the royal family. It seems like a great idea since she has a crush on the emperor and is so burdened by debt that becoming an empress would solve many problems. When her actress character is thrown together with the emperor, played by Shin Sung Rok, fate places her in a position to improve his public relations, but also places her life in peril. Shin, who played the ruthless mastermind in The Liar Game and a philandering husband in On The Way To The Airport, really excels at playing sinister characters, but Jang’s character is fooled by his charming public exterior. Princess Hours was at least partially inspired by the story of England’s Princess Diana, a non-royal who married into a royal family, had a difficult time adjusting and an unhappy marriage. Eventually, the unhappy prince in Princess Hours realizes how much he loves his bride and places her happiness before the crown. That probably won’t happen in The Last Empress. In the first two episodes the emperor has already demonstrated some sociopath tendencies. The Last Empress may derive inspiration from the royal wedding of American actress Meghan Markle and Prince Harry, but it also echoes the brutality allegedly inflicted on a journalist by a Saudi Arabian prince. Choi Jin Hyuk plays a palace guard that helps Jang’s character survive in the palace. It’s a romantic role he’s played before, as he rescued another Jang character from her ungrateful husband in Fated To Love You. Although his caring second lead lost her heart in that drama, the two actors deserved another drama chance at love. Royally sanctioned murder in the palace may have been a more common occurrence in the Joseon era, when the king’s word was law, but will the emperor in The Last Empress manage to remain above modern-day law? Or will the law—with the help of an actress and her guard—bring down the monarchy? What do you think? Next Post Can Park Bo Gum Free Song Hye Kyo From Her Icy Tower In Encounter?